Enter your email and join me on this journey of growth! You won't regret it, I promise! Hey all! 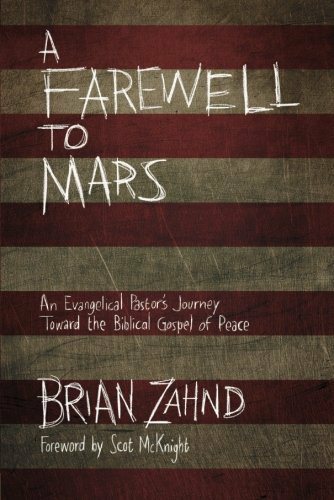 Yet another book for free from Brian Zahnd for Kindle. The topic of this one hitting home, as a Christian living in America. It is without a shadow of a doubt that this countries rulers, and people as a whole, are fixated on violence; and the people of God are sucked into the culture’s perception of justified violence. War is taught as necessary, and violent actions as natural to humanity and just. If I am to be honest, I too, feel inclined to identify as falling into the group that is too easily persuaded that violence is necessary at times. But is that consistent theology? Is violence on any level what we are called to do? Join me in the quest to find the answer to this question. Download this book for FREE, and let it be just the beginning of a journey to discovering a biblical stance on the matter. Go download it, read it, and let’s talk about it together!